A stray kitten changes the way the watchman sees nighttime in this tender book based on a true story, illustrated by Strictly No Elephants artist Taeeun Yoo. When he is joined by a stray kitten, the night suddenly seems different. Has the kitten found a new home? 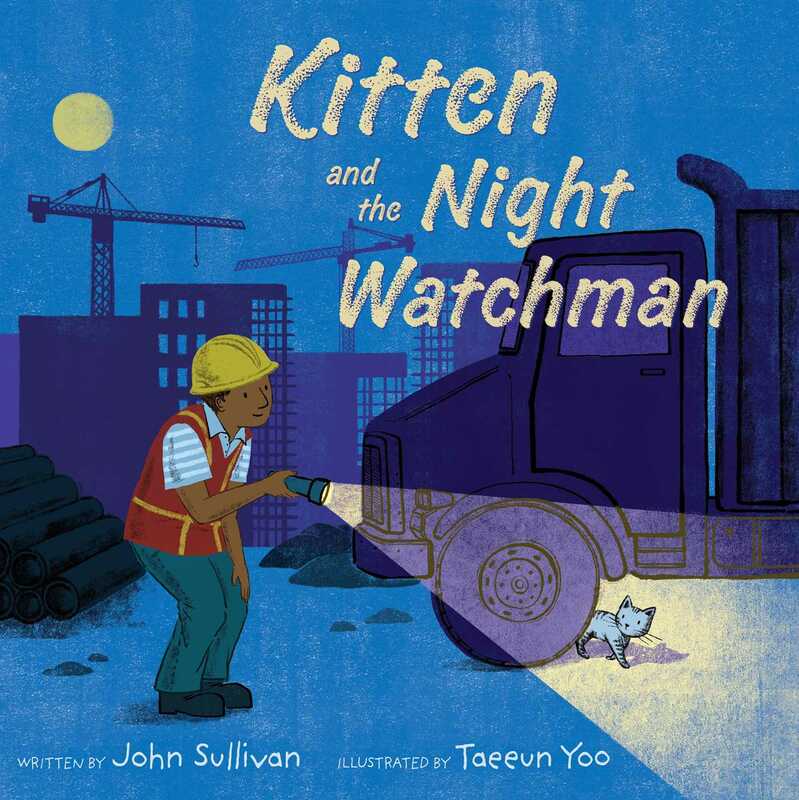 Kitten and the Night Watchman is inspired by the true story of author John Sullivan meeting a stray cat while working as a night watchman. The cat, Beebe, was John’s companion for seventeen years. John Sullivan makes his authorial debut with Kitten and the Night Watchman. John works for the City of Chicago guarding buildings and equipment. It was during one of his rounds that he found his cat, Beebe. They were companions for seventeen years. This book is inspired by that experience. Taeeun Yoo has twice received the prestigious New York Times Best Illustrated Children’s Book Award. She has illustrated many books, including Strictly No Elephants by Lisa Mantchev, which has been published in twelve countries. The New York Times called it a “sunny, smart, tongue-in-cheek tale.” Other books include So Many Days and Only a Witch Can Fly, both by Alison McGhee, and Round by Joyce Sidman, which received four starred reviews. Taeeun was also the recipient of the Ezra Jack Keats Award and the Society of Illustrators’ Founders Award. She lives in South Korea with her family. A night watchman hugs his family and goes to work, where he methodically makes his rounds through an empty construction site. His flashlight’s warm yellow beam illuminates the darkness: “He checks the doors. 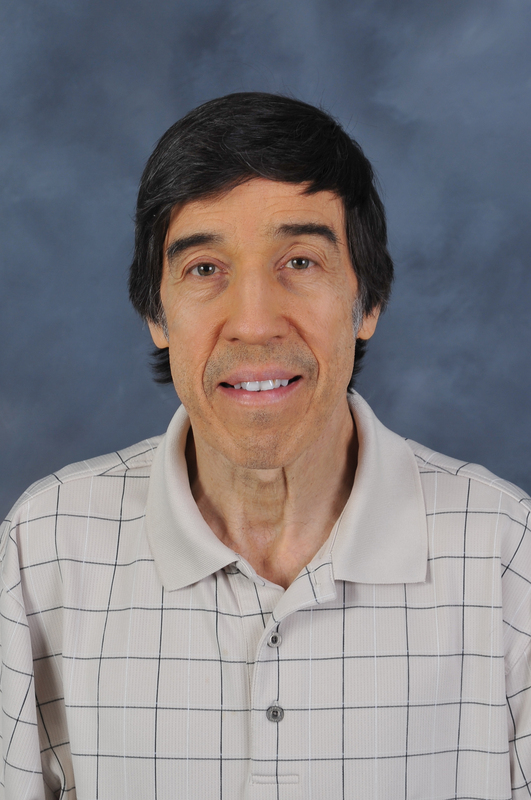 He checks the workshop.” Debut author Sullivan, who based the story on his own experience, illuminates the inner life of his character as well, using concise, poetic language. The watchman “thinks of his boy and girl, safe and asleep at home.” He’s alert to the beauty of the darkness, too: the big trucks’ fanciful-looking shadows (“A backhoe rises like a giant insect”), the full moon that “shines like an old friend,” the way the air fills with a sound of a train and then becomes still again. Most of all, he is kind: a stray gray kitten joins him on his rounds (“ ‘Back again?’ he asks”), and after worrying when it disappears, the watchman takes the kitten home to join his family. Yoo (Strictly No Elephants) sets a lovely mood, taking readers from sunset to dawn through washes of orange, pink, and blue, the watchman’s compassionate demeanor assuring them that all’s well. The pithy, poetic text brings a sense of calm and wonder, and onomatopoeic words note the many sounds the night watchman hears in the quiet of the dark night. Yoo's textured, serene artwork in beautiful saturated tones perfectly complements Sullivan's lines and conveys a beauty in the night and the construction site that readers might otherwise miss. As the kitten and the night watchman make their rounds, trucks turn into elephants, cranes into giraffes, and a regular night of work turns into a magical night filled with the promise of friendship. This soft, gentle story is a perfect bedtime story for lovers of trucks and construction equipment, cats, and nighttime wanders. Yoo’s textured digital and hand-print illustrations immerse the viewer in the experience of making rounds with the night watchman and his kitten companion, progressing from the orange of sunset as he leaves for work, through blues and blacks of night warmed by spills of light from the watchman’s flashlight, to the pink-tinged sky of dawn....Sullivan’s lovely text is accessible for independent readers, but it begs to be read aloud; its simple cadences will leave listeners comforted and ready for sleep.